There is a Solution - Neuromuscular Dentistry. Neuromuscular dentistry is the specific area of dentistry that treats the cause, not just the symptoms, of the painful headaches associated with a misaligned jaw. An abbreviated definition of Neuromuscular Dentistry is the correct positioning of the jaw to locate a balanced bite. Imagine having a life without visiting Doctors, Medical specialists, Neurosurgeons, Chiropractors, Acupuncturists, and Physio’s let alone all the drugs you have consumed. Quite often, patients see doctors for their severe headaches and are given medications to treat the pain, yet there is often no treatment provided for what is actually causing the headache. Neuromuscular dentistry is the specialized area of dentistry that treats the cause, not just the symptoms, of the painful headaches associated with a misaligned jaw. An abbreviated definition of Neuromuscular Dentistry is the correct positioning of the jaw to locate the perfect bite. 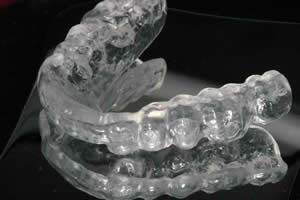 Many people are unaware that they suffer from a misaligned jaw and attribute the symptoms to daily stress or fatigue. Although Neuromuscular Studies have been carried out for over 40 years it is only recently that its full potential is being discovered, and we are of the firm belief that this form of dentistry will be the standard in years to come. The major breakthrough that has been found when practicing Neuromuscular Dentistry is that we now have the ability to either cure, or at least relieve up to 90 % of people who suffer from Migraine headaches. There are many symptoms that a patient may suffer, but most of these below will show us they have a Neuromuscular problem. Many of these symptoms have been misdiagnosed in the past, but today they have become tell tale signs that the patient has a bite problem. The current position of the jaw could have been caused by incorrect development, tooth loss, old dentistry, badly formed dentition or just wear and tear of the teeth. Today LVI trained neuromuscular dentists have the computerization and jaw tracking programs that will indicate exactly where the jaw is in its most comfortable position by monitoring the muscles that hold the lower jaw in position. About 2 weeks later they would be fitted with what is called an orthotic appliance which fits over their lower teeth and is worn 24 hrs a day including eating to maintain the correct bite position. After a couple of days of wearing the appliance they may need an adjustment which is usually when we see the first indications of improvement with their headaches. As a group, we have been quite hesitant in the past to advertise what we are able to achieve for Migraine sufferers with the use of Neuromuscular Dentistry, as there are very few Australian Dentists trained in performing these procedures. We have also achieved amazing success with young school children who suffer from Migraines. By having them wear an appliance 24/7 they are now pain free. Most have reduced their absenteeism to almost nil, their grades have improved immeasurably, and the majority are now completely drug free. Parents of these children are most appreciative as their family lives are now back to where they can live a normal life and plan for the future. 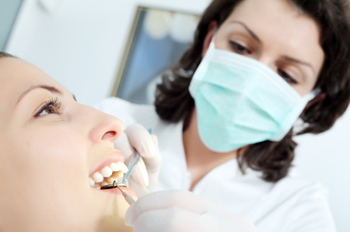 Patients need to attend a qualified Neuromuscular dental surgery and have a computerized bite work up taken to establish the correct position of their jaw. This procedure is totally pain free, not that that would worry a migraine sufferer. About 2 weeks later they would be fitted with what is called an orthotic appliance which fits over their current teeth and is worn 24 hrs a day (except for eating) to maintain the correct bite position. After a couple of days of wearing the appliance they may need an adjustment which is usually when we see the first indications of improvement with their headaches. Several more adjustments may be required till the bite stabilizes in the required position. Once this stabilized position has been achieved the dentist will inform the patient of several options which can be carried out to maintain the bite in this “physiological rest” position to keep them pain free.